When we speak of this subject always generate doubts bloggers who are starting in the course of blogging. 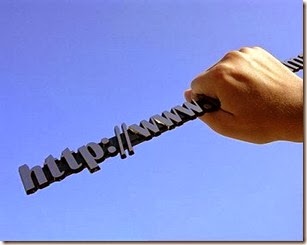 Purchasing a domain is a way to make it simpler to access your blog, more if your blog does not have many visits there is no anticipated need to do this. The exchange can be done once your blog start getting many more hits remember that if you already have a pagerank this will suffer since you will have to recover it again, but do not worry as you retrieve it quickly when we have visitors faithful and always, access rankings will always be good. Another point that you should not forget is this stage publicize your new address, social networks (Twitter, Facebook), so that your blog now start entering the rapid dissemination media, after that you should do is always keep your disclosed or blog is always to post, publish on aggregators, so that your blog never miss visits.